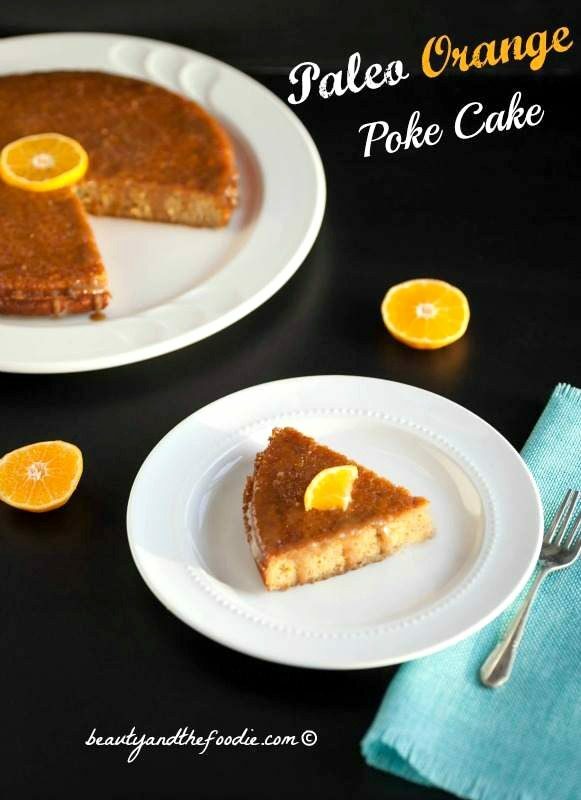 Paleo Orange Poke cake is a super delicious, grain free, low carb citrus cake with an orange glaze. 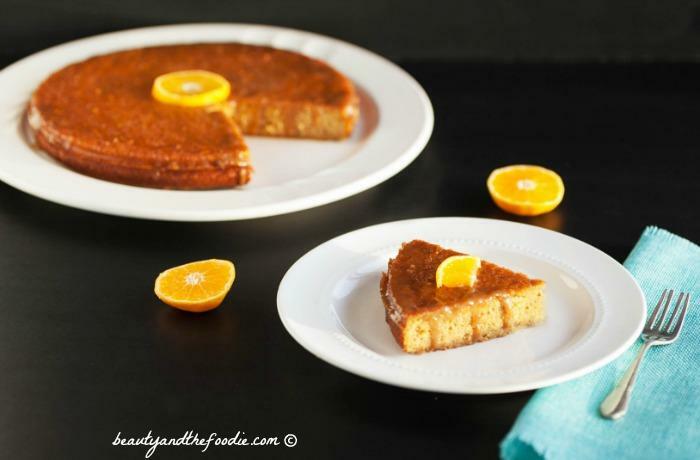 Paleo Orange Poke Cake is a grain free, lovely citrus cake with a sweet orange glaze that gets into the holes that are poked in the cake. 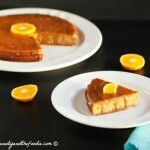 I loved my lemon poke cake so much, that I decided to do an orange variation of it. 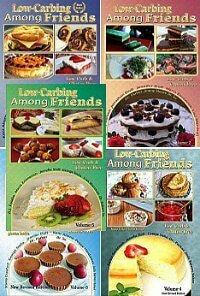 I used mandarin or clementine oranges, which are small and keeps the low carb version amazingly low in carbs for an orange cake. 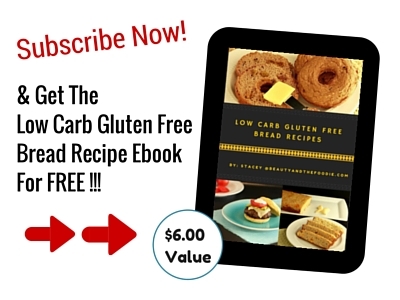 I used coconut sugar for the Paleo version and erythritol for the low carb version. I had to make this cake twice, because even though the first one turned out great. I dropped it. My husband had come home unexpectedly, and the sound of the door opening made me jump and drop the cake. I must have had too much coffee that day. I am still bummed about the loss of the cake and the almond flour (not cheap). But it is cheaper if you buy a bag of almond slivers and grind them into almond meal yourself in the food processor. I love this Ninja processor-blender combo, and I use it almost every day. Scrub the 3 mandarin oranges clean, leave the peel on orange. 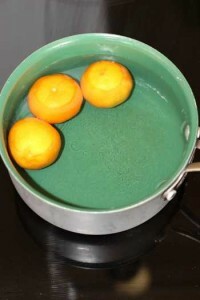 In a medium sauce pan bring the 3 whole oranges and enough water to cover them, to a rolling boil. Lower heat to medium and cover. Cook oranges for 50 minutes, making sure there is enough water on the oranges during the cooking process. Preheat oven to 350 F, and grease a 9 inch round cake pan or a spring form pan. Remove from heat, use tongs to remove from sauce pan and let cool, until they can be handled. Cut oranges into chunks, leaving the skin on. 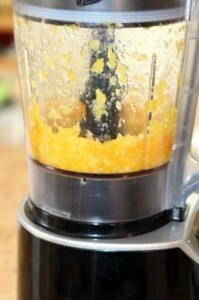 Place orange chunks with peel in the processor or blender and process until a puree forms (not juice) * see photo above. 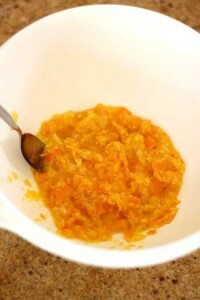 In a large mixing bowl combine: the orange puree, 3/4 cup sweetener of choice, and 1 tsp orange extract. Mix together thoroughly. 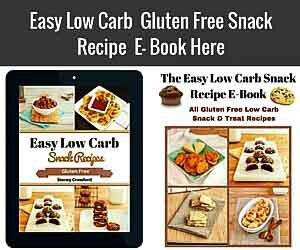 Add 4 beaten eggs, 1 ½ cup almond flour or meal, and ½ tsp baking soda+ ½ tsp cream of tartar mixture or can use 1 tsp baking powder. Mix together thoroughly. Pour batter into prepared cake pan and bake for 30 minutes, or more until center of cake is done, and tooth pick comes out of center clean. Remove cake from oven and let cool. While cake is cooling, make the orange glaze. In a small sauce pan over medium low heat, melt the 2 tbsp butter. Add the 2 1/2 tbsp coconut milk or heavy cream, and 2 ½ tbsp. sweetener of choice. Mix together until bubbling, and remove from heat. Then add ½ tsp orange extract and 2 tsp orange zest. Stir together. Set aside. 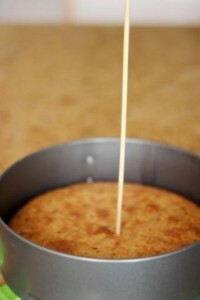 Take a wooden or metal skewer and poke holes into the cake all over the cake * as in photo above. 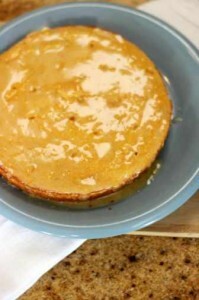 Spoon or pour the orange glaze all over the top of the cake and spread around. Let cake sit awhile until glaze sets a little. Serve and enjoy. Store unused portions in the fridge. Nutrirtional Data for Paleo version (using coconut sugar as sweetener): Servings: 1 slice out of 10, Cal: 224, Carbs: 24 g / Net Carbs: 22 g, Fiber: 2 g, Fat: 11 g, Protein: 5 g, Sugar: 21 g, Sodium: 98 mg. 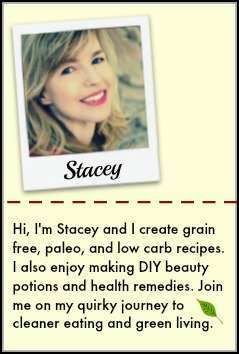 This looks delicious, Stacey! I always loved poke cakes growing up and this one looks fabulous! Thank you Kelly. I love your blog and your food.